30 Sunray Ave, Piara Waters. WA. 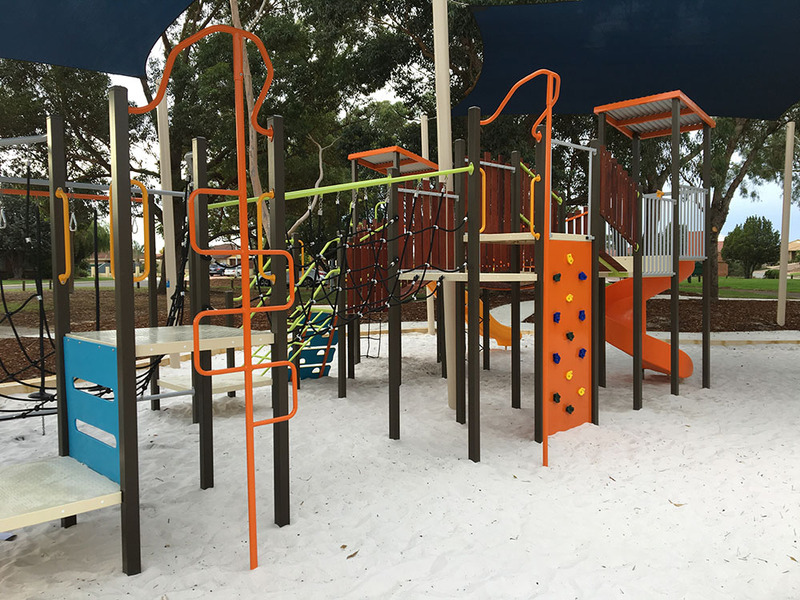 Design and install a mixed age playground for one of Perth's 5 brand new state schools to open in 2019. Installing in a newly built school does come with it's challenges. The biggest, was to design a large, mixed age playground in an open space that was dotted with marked and unmarked underground services.Thorough liason and contact with the builders, the school principal and the Playmaster's Managing Director, Ashley Stone, inevitably insured Aspiri Primary School's first playground was installed in time for the school's official Opening on Friday 8th February. Comprising of 13 platforms it is a significant play structure capable of providing multiple opportunities for large numbers of children to play, climb, slide, balance and interact socially at the same time.It is composed of 2 distinct sections, separated by 3M components - two flying foxes and an arched monkey bar. The range of climbing and upper body challenges and the striking purple and teal colour scheme make it a stand out feature of the school's outdoor area. 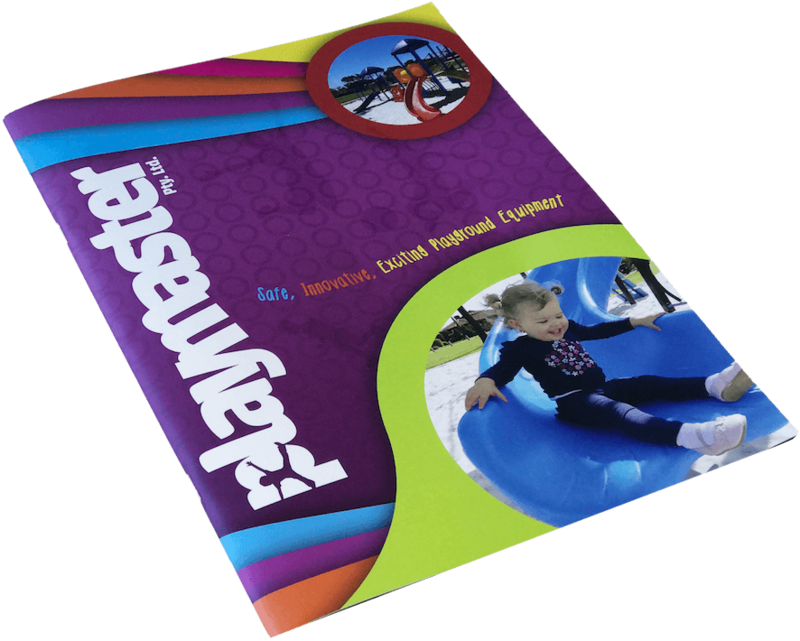 A Playmaster first was the use of a blower truck to install the playground mulch supplied by WA & J King - most appreciated and necessary - given the 100m3 size of the pit.